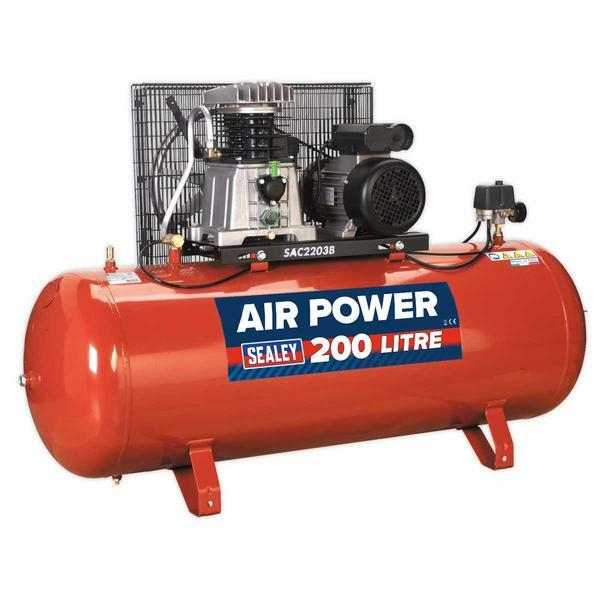 Our top of the range single phase 200ltr compressor, this unit is suitable for the professional workshop and is fitted with a genuine 3hp motor. 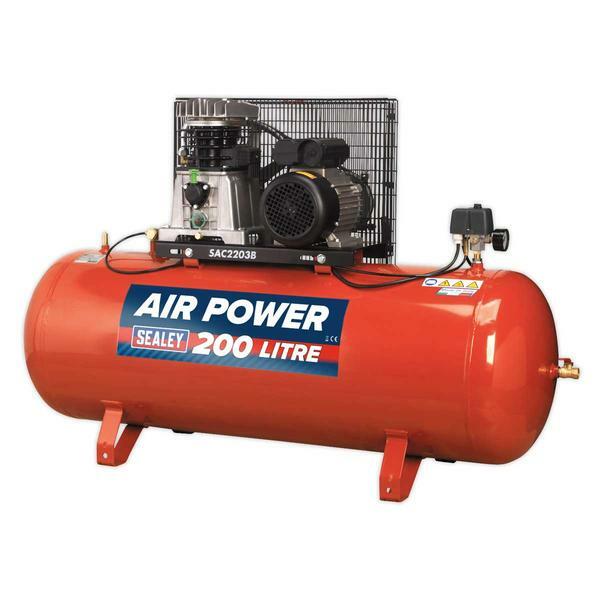 However on this model we recommend fitting a 16Amp plug and connecting to a 20Amp supply protected by a type C circuit breaker for easier start up. Heavy-duty drive guard protects belt and flywheel that is designed to force air over the pump to aid cooling.